Cleburne, the county seat of Johnson County, is on U.S. Highway 67 thirty miles south of Fort Worth. Its origin and growth can be attributed to its role as a crossroads and transportation center. The site was near the earliest Johnson County road, an old wagon trail that was used by soldiers traveling from Fort Belknap to Fort Graham. The location had an excellent water source on West Buffalo Creek that attracted travelers, including cattlemen from the nearby Chisholm Trail. During the Civil War the site was used as a bivouac for Johnson County units marching off to war. This temporary facility, known as Camp Henderson, became a permanent settlement on March 23, 1867, when it became necessary to choose a new, centrally located county seat to replace Buchanan. 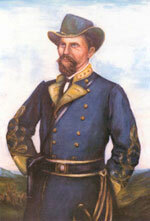 The town was named in honor of Gen. Patrick R. Cleburne, under whom many of the men had fought during the Civil War. The importance of Cleburne as a transportation center was enhanced by the arrival of the railroad. In 1870 the population was 683; twenty years later the residents numbered 3,727. In 1881 the Gulf, Colorado and Santa Fe Railroad was completed from Fort Worth through Cleburne to Temple, and a secondary line connected Weatherford to Cleburne in 1887. The most important industrial contribution to the city was made by the Santa Fe Railroad, which in 1898 and 1899 constructed central machine shops in Cleburne, helping to double the city's population in the 1890s. In 1882 the Chicago, Texas and Mexican Central Railway connected Cleburne to Dallas. Two additional railroads maintained terminals in the city after 1900. The Dallas, Cleburne and Southwestern Railway completed a spur to Egan in 1902, and the Trinity and Brazos Valley, commonly called the 'Boll Weevil,' operated out of Cleburne from 1904 to 1924. The former line was sold to the Missouri, Kansas and Texas in 1910. The track out of Cleburne was abandoned after 1920. The Burlington and Rock Island used the Boll Weevil track from 1924 until 1932, when it too was abandoned. The Interurban out of Fort Worth served Cleburne for eighteen years after 1912. A local streetcar service operated from 1911 to 1917. Cleburne was still served by Santa Fe and Amtrak in 1990. In 1909 the State Christian Junior College moved from Denton to Cleburne, where it operated as Clebarro Junior College until it closed in 1919. A Carnegie Library was opened in 1904. Cleburne had a population of 12,820 in 1920. All four city banks failed in the 1920s, and a strike at the Santa Fe in 1922 further depressed the economy. The governor of Texas had to send Texas Rangers into the city to keep order during the strike. By 1940 Cleburne had a population of 10,558. During the 1930s a Civilian Conservation Corps camp operated west of Cleburne with 200 workers. Among their projects was the construction of Cleburne State Recreation Park, which opened in 1941. German prisoners of war, kept in Cleburne during the latter part of World War II, were used as laborers on farms. After 1945 proximity to the Dallas-Fort Worth region resulted in substantial growth in Cleburne. By 1990 the city had a population of 22,205, forty manufacturing facilities, a new regional hospital, and a community college extension center. A major area employer has been the Comanche Peak Nuclear Power Station in nearby Glen Rose. 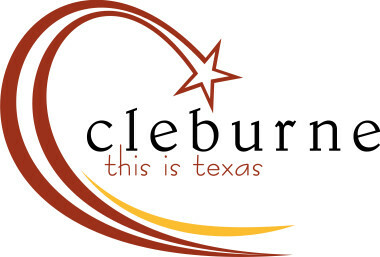 Cleburne has a council-manager form of government, eight municipal parks, and Lake Pat Cleburne. Local cultural activities included a community theater group and Layland Museum, both housed in the old Carnegie Library building. A local preservationist society, Save Old Cleburne, sponsored an annual Candlewalk and Tour of Homes during the Christmas season. BIBLIOGRAPHY: Frances Dickson Abernathy, The Building of Johnson County and the Settlement of the Communities of the Eastern Portion of the County (M.A. thesis, University of Texas, 1936). Dudley M. Gordon, The History of Cleburne (M.A. thesis, University of Texas, 1929). Ernest E. Guinn, A History of Cleburne, Texas (M.A. thesis, University of Texas, 1950). Johnson County History Book Committee, History of Johnson County, Texas(Dallas: Curtis Media, 1985). A Memorial and Biographical History of Johnson and Hill Counties (Chicago: Lewis, 1892).